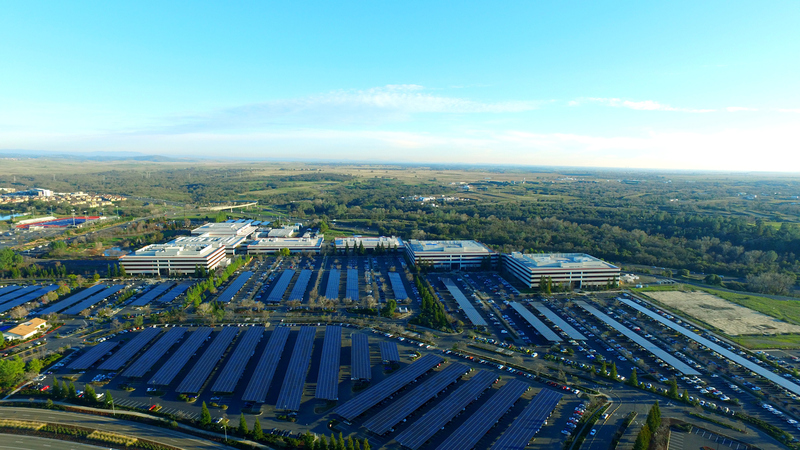 Intel unveiled a new solar installation at its Folsom, Calif. campus as part of its longstanding commitment to environmental sustainability. At peak capacity the solar arrays will generate enough power to meet over 50-percent of the campus’s energy usage, equivalent to meeting the power demand of almost 1,000 homes. The installation is the largest corporate solar carport in the U.S as recognized by the Solar Energy Industry Association, and one of the largest private solar panel installations in California and among the top-10 in the U.S. Learn more about Intel’s renewable energy initiatives here.